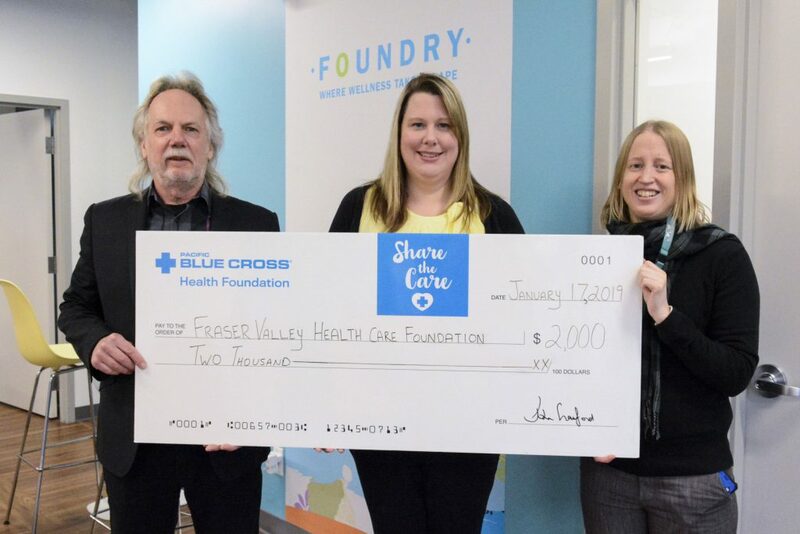 Abbotsford – Jim Iker the Chair of Pacific Blue Cross Health Foundation Board was on hand to present Liz Harris, Executive Director of the Fraser Valley Health Care Foundation & Mary Anna Ennis from the START Team with a cheque for $2,000 to support youth mental health in the Fraser Valley. The START (Short Term, Assessment, Response, Treatment) Team was established in 2004 in order to better service children and youth (ages 6 through 18) who are experiencing acute mental health crisis in the Fraser Valley, providing assessment, crisis stabilization, psychiatry and short-term therapy services. Last year, over 800 children and youth were supported in the program. The majority of children and youth who are referred to the START Team have suicidal thoughts or may have had a recent suicide attempt. In this time of crisis for these children and youth, and their families, this program is able to provide immediate assessment and therapeutic intervention through individual, family and group therapy. The START Team’s work is guided by crisis intervention models, as well as Cognitive Behavioral Therapy, Dialectic Behavior Therapy, Emotion-Focused Family Therapy approaches and play therapy models. 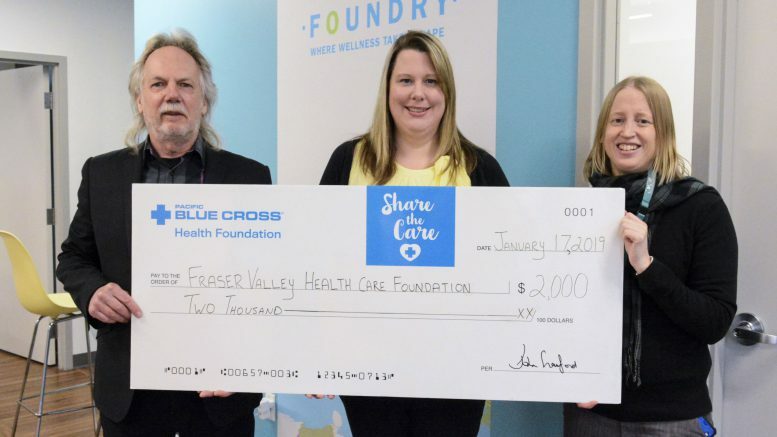 Be the first to comment on "Pacific Blue Cross Give $2K To Fraser Valley Health Care – Mental Health Initiatives"